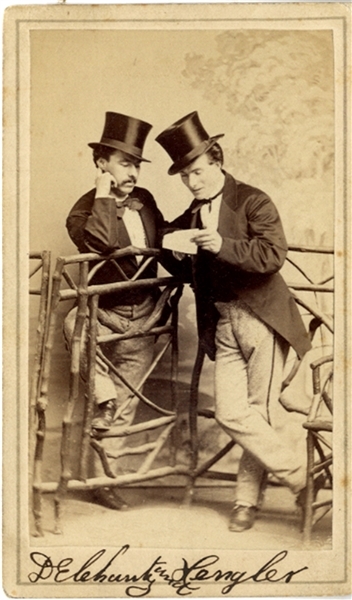 Carte de visite of the famed Irish Vaudeville team of D.E. Chunty and Hengler. Signed on verson “with Compliments of T.M. Hengler” Scholten backmark. Fine condition.